We’re now the official service partner for Bruker in the Nordic region, for their X-Ray Analysis and Nano Surface Analysis product lines. In line with this agreement, we’ve expanded with a team of service engineers based regionally across the Nordic countries. We’re pleased to announce that we’re now the official partner for service of Bruker’s AXS and Nano Surfaces product lines. This covers the Nordic region in Denmark, Finland, Iceland, Norway and Sweden. This builds on our existing partnership with Bruker. We’ve been working together with them for several years as their official distributor for various lines in the UK and Nordic area. This relationship is now expanded to include service and support, starting from 15th February 2019. If you’re an existing customer or if you have any questions, please get in touch on +44 (0)1223 422 269 or service@blue-scientific.com. In line with this agreement and to provide you with the level of support you’d expect from dealing directly with the manufacturer, we have expanded with a team of respected service staff. 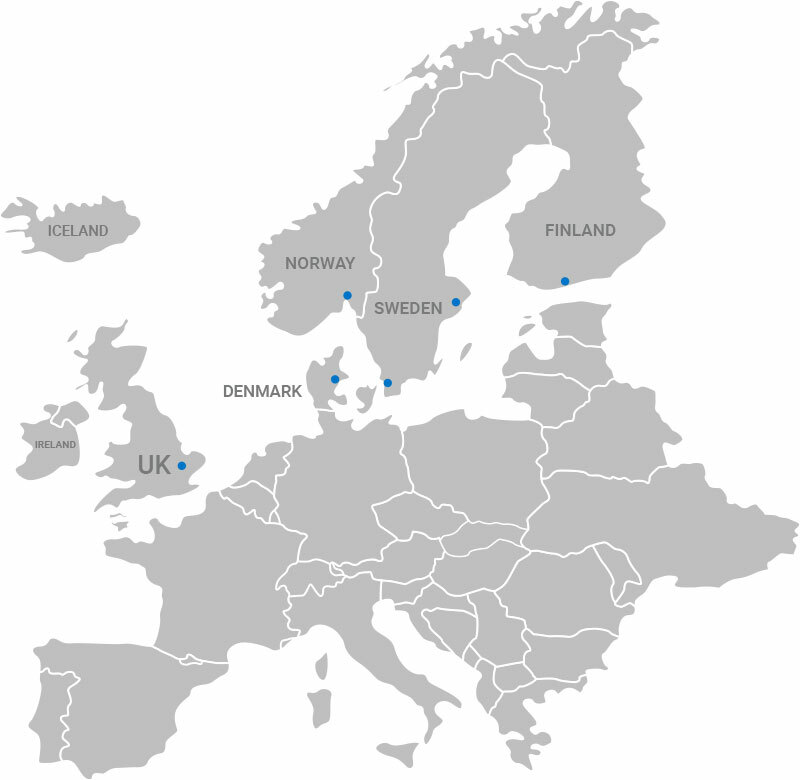 Locally based service engineers across the Nordic region.